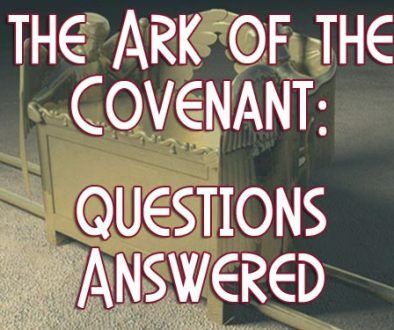 God’s Ark of the Testimony: It might be a bit of a stretch here, but since Moses was educated in Egypt, it makes sense that he would use the royal Egyptian cubit in his description of the Ark and Mercy Seat. There is a cubit stick in the museum at the Imhotep museum at Sakkara, in Egypt this was the standard for a period of time. One of the earliest known uses was the step pyramid at Sakkara, with Pharaoh Djoser. This complex was built by Djoser’s master architect Imhotep, which in all likelihood was the Egyptian name for Joseph. 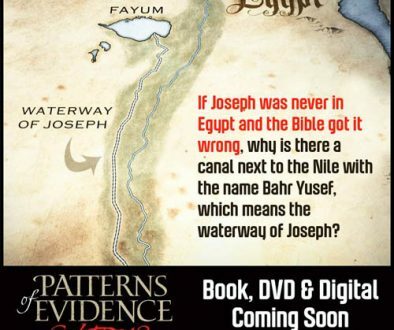 So, the royal cubit could have originated with Joseph himself, as he was also a master builder, plus physician. There is also another very good reason for the use of the royal cubit; if I went to another country as a carpenter, I would use their standard of measure in working with the crew. When Moses provided the details for the tabernacle furniture he mentioned that God called certain individuals, “Bezalel, from the tribe of Judah, also Aholiah of the tribe of Dan. Them hath he filled with wisdom of heart, to work all manner of work, of the engraver, and of the cunning workman, and of the embroiderer, in blue, and in purple, in scarlet, and in fine linen, and of the weaver, even of them that do any work, and of those that devise cunning work” (Ex. 35:30-35). Obviously these two employed help in their workmanship and as the Scripture say God put in their hearts the ability to also teach their skills. 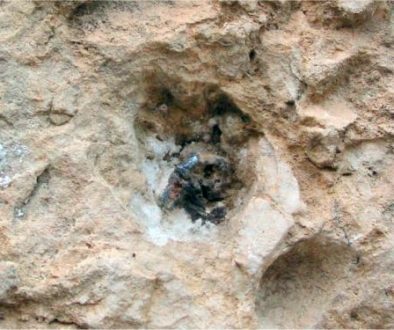 With this type of a detailed construction going on, they would be using tools that had come out of Egypt, and the standards of Egypt would have been the only ones known at that time. Having been there for 430 years, and the Royal cubit having been used possibly since the time of Joseph, it is more than plausible that this is the cubit used for the Ark and Mercy Seat construction since Jewish standards had not been used for centuries, in fact Jewish anything hadn’t been thought of for centuries. 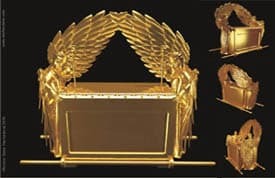 The authors next attack Wyatt’s observation and depiction of the Ark: whether the angels are top of the Mercy Seat or on the side, whether they are looking at each other, versus looking downward, towards the Mercy Seat, etc. I am in complete agreement with the Scriptures mentioned and so is this quote from Ellen White, but it does differ somewhat with the authors’ conclusions. At first glance the Authors seem to have the mounting aspect correct, as the current definition of the word surmount, means mount upon; to get on top of. The other aspects mentioned are different; one wing was stretched forth, the other folded to present humility, their faces were directed towards one another, but in the downward position as illustrated by Wyatt’s depiction. The word surmounted in 1905 had a little different meaning; 1850 dictionary See, An Affair of State–Guy de Maupassant (1850-1893). ….. surmount. To overcome (an obstacle, for example); conquer. See, An Affair of State–Guy de . Also, the word meant to be at the top, not necessarily on the top. Ex.25:18-19, And thou shalt make two cherubim of gold, of beaten work shalt thou make them, in the two ends of the mercy seat. And make one cherub on the one end and the other cherub on the other end, even of the mercy seat shall ye make the cherubim on the two ends thereof. The key word in these verses are those I’ve highlighted, END, this is the Hebrew word, qatsah – and is defined as end, extremity. The Scripture here is defining the obvious, that NO created being is ON God’s throne, not even the holy Angels. There is such respect and awl for who God is that none would dare cross the line of disrespect. The Authors are so absorbed with being the antithesis of anything that is Wyatt related, they are not doing their homework. There is one other aspect to this that may be at play. I remember talking with Ron concerning the description of the Ark, without prompting he indicated that the Pinkoski illustration was not exactly what he saw in the chamber. He said that he left out certain details on purpose, so that no one could produce a copy, based on his description. Believing that the true Ark would at some point be retrieved from the chamber he wanted to preserve its authenticity. Interesting. Thank you for sharing. Feels so real and challenging my understanding of how much God loves us all.